Welcome to Capricorn season! Ambitious Capricorn, ruled by taskmaster Saturn, is all about going after goals, getting things done, and recognizing that hard work is it’s own reward. It can be a stern, unforgiving season (those below zero temperatures experienced in so much of the Northern Hemisphere aren’t a coincidence) and it’s not necessarily a season for socializing. But it’s also not a season for just whiling away the hours under the covers. It’s a season where you can get things done, burn the midnight oil, and take logical, practical steps to achieve what you want in life. You may not make a splashy statement or major move, but, for example, you may get your financials in order that will put you in a favorable position for buying property. Or you may take a course that will help you get a leg up in the hiring process. You may get serious about your fitness routine (along with everyone else crowding the gym in January!) and you may commit to a healthy challenge or goal, like trying “dry January” or not ordering any takeout for the month. The goat, the symbol of Capricorn, is hardy, tough, scrappy, and able to live and adapt in tough climates. The goat is sure-footed, smart, agile, and able to adapt to their changing environments. They aren’t bothered by weather, and will scramble to get the food and supplies they need. 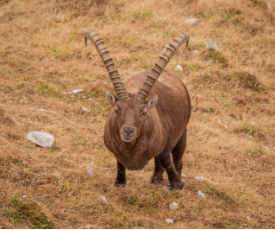 This ritual asks you to take on the get it done energy of the mountain goat. The hardy, scrappy goat—the symbol of Capricorn. The more you embrace the serious side of Capricorn, the better. Capricorn doesn’t want to punish you, it only wants to make you the best you can be. All signs can work with the energy of this Zodiac sign to excel. Here, one way to call in the energy of Capricorn and Saturn. Try this ritual to commit to a healthier, happier, better, stronger you in 2018. You can perform this ritual anytime during Capricorn season, but it might be especially powerful on the Cancer full moon on Monday, January 1. Cancer, the opposite sign of Capricorn in the Zodiac, is all about emotions, inner attunement, and connecting to others. Drawing on this energy can help you manifest Capricorn’s get it done power—since you can’t do anything by yourself. The Cancer full moon reminds you of the people and support you have behind you, and even an independent mission is never achieved entirely by yourself. But perform this ritual anytime, or take parts that mean the most to you. The idea is to harness Capricorn’s energy for yourself. Ideally, you should go outside in the gloaming—that in-between dark and lightness right before the sun rises. It will be cold. Embrace the chill. The walk or run doesn’t need to be fast, but it does need to be purposeful. It should get your heart rate up and make you feel a little out of breath. Capricorn rewards discomfort (not pain!) Breathe heavily and feel the air going in and out of your body. Your destination should be somewhere meaningful. This could be on your usual workout route, or could be a pilgrimage of sorts to a place that means something to you. For example, a grave or marker of a mentor (someone you knew or someone you didn’t) could be a great place to reflect. Once you get there, give thanks for the year that passed. This isn’t a time to reflect on what did or didn’t work, it’s just a time to say thanks to your body and mind for carrying you into this new year. It’s a time to feel anchored in your physical body. You could do a few asanas, if you’re into yoga. But this is absolutely a time to just feel your breath, feel your heart, and feel your body as it houses your soul. Capricorn may be a sign that’s anchored in practicality, but even this sign can be aided by some visualization magic. Now’s the time to imagine yourself a year from now. What will you have accomplished. How will you get there? Imagine some scenes, including the not-so-fun ones. If you’re gunning for a promotion, think of the late nights or think of a sweaty-palmed conversation in your boss’s office. Breathe in. Breathe out. Realize just how powerful you are and how you will get through every obstacle in your past. Imagine walking past those obstacles to arrive here, at this spot, in one year. This isn’t mandatory, but a crystal can help you commit to your vision. 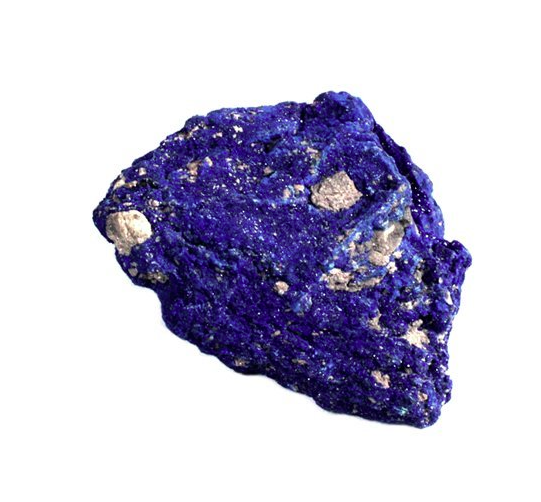 Azurite can be a powerful crystal to harness Capricorn energy. Hold it to the earth, “bury” it in the earth for a few minutes if the ground isn’t too hard, then clutch it. All year, this can serve as a reminder of your renewed intention to excellence. 6. Leave Your Spot and Get to Work! It’s still early, and if you don’t have to rush to a job, consider sitting down at a cafe with a warm beverage (your reward for early rising!) and write a to-do list of goals and steps to achieve them for the new year. You should feel physically exhausted in a good way, mentally challenged, and ready to take on the new year with Capricorn-inspired enegy! All year, your crystal can remind you of the commitment you made and the journey you’re on. Happy Capricorn season! Art by Virginia Mason, @fleetingconnections on Instagram and Horoscope.com’s weekend love writer.